This museum opened in 1953 to display 17th- and 18th-century ritual objects – exotic rimmonim (Torah finials) made in Turkey and Venice, old marriage contracts painted on parchment, prayer shawls, gold work etc. Along with exhibits on festivities and rituals, there are others related specifically to the history of the Jewish community in Venice. The guided tour in Italian and English (departs every hour on the half hour) will take you upstairs to visit the elegant Schola Grande Tedesca (1528), the first synagogue built in the Ghetto, by German Jews, who along with the Italians were initially limited to the rag trade. 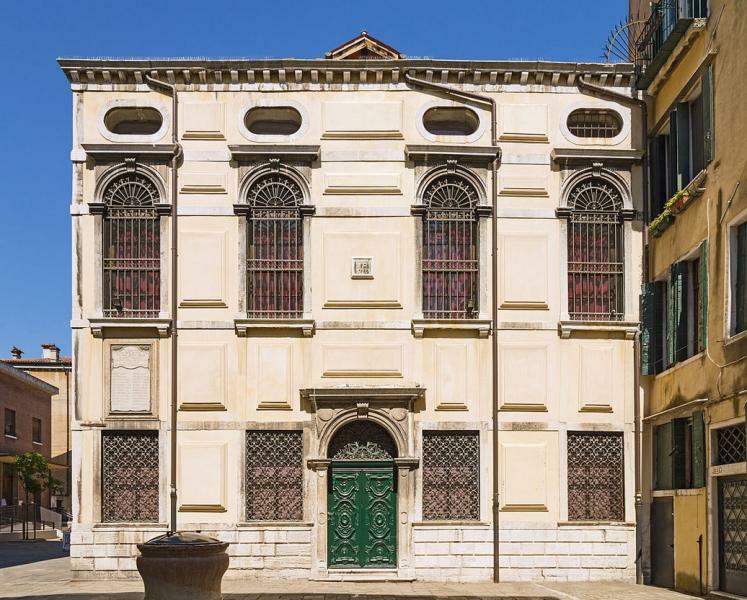 The other synagogues in the Campiello delle Scuole: the simple Schola Italia and Schola Canton, and two grand synagogues, built by the Jews who would become the great merchants of Venice. The large and lavish Schola Grande Spagnola (home of the Sephardic congregation, said to have been redesigned by Baldassare Longhena) is still used in summer for services; the equally de luxe Schola Leventina (1538, for Levantine Jews), with an elaborate pulpit sculpted by the great Andre Brustolon is the only one with heating, so sees all the Shabbat services in winter. Hours June-Sept 10-7; Oct-May 10-5.30. Closed Sat and Jewish holidays. Adm €4 museum only; Museum and tours of the synagogues €10, reduced €8.